The biopic depicts Flynn's roust-about early life in Australia, before he became an internationally famed celebrity. In those days he was an adventurer, opium smuggler, gambler, street fighter, womanizer, and gold prospector. 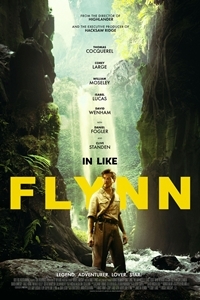 The film, based on Flynn's early autobiography "Beam Ends," was written for the screen by Large and Luke Flynn, who found the inspiration as a result of their travels through Australia in the footsteps of Luke's iconic grandfather.